The United States Navy's newest submarine, the USS Colorado, went into service this weekend. In the Pentagon's announcement, Secretary of the Navy Richard V. Spencer called the vessel "a true marvel of technology and innovation". But part of the 115m-long Virginia-Class submarine is operated with a 12-year-old Xbox 360 controller. The USS Colorado is able to launch Tomahawk missiles at submarines and ships, but it can also be used to transport special operation troops and conduct surveillance. The Xbox controller is used to manoeuvre the photonic masts - sensors that have replaced telescopes in modern submarines. 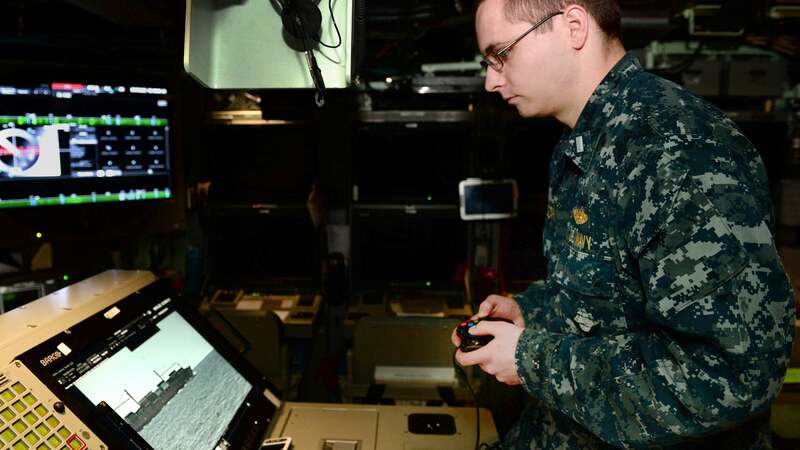 The Associated Press reports that this is the first attack submarine that uses a gaming controller. The US military has used Xbox 360 before. For instance, to operate a high-energy laser gun for blasting drones and mortar shells. Last September, The Virginia-Pilot reported that the Navy was beginning to replace $US38,000 ($49,394) joystick-style controllers with $US39.95 ($52) Xbox 360 controllers because the Microsoft-built devices are significantly cheaper, easier to replace, and require less training because many service members already know how to use them. The idea to use Xbox controllers for Virginia-Class submarines reportedly came from Lockheed Martin's "classified research lab" in Manassas, Virginia, known within the defence technology company as the Navy's "Area 51".